Choosing a hosting provider to provide web services is a daunting task. 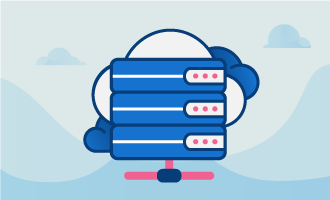 With thousands of companies to choose from ranging from large, multi-nationals to the one-person operation working from home, hosting providers come in all shapes and sizes. The network can be thought of as the heart of any hosting company. The network needs to be fast enough to handle all the traffic peaks regardless of the number of connections, and thus be easily scalable to accommodate any increase in traffic instantly. Besides speed, the host’s network needs to be redundant in that no single part of the network infrastructure should be considered a single point of failure. With these two factors taken into consideration, a good host will be sure to guarantee the network uptime. Of course, no network stands on its own. A host’s network is connected to the internet through bandwidth providers, and the quality of these providers needs to be taken into consideration as well. Insist on a provider who uses premium carriers with no congestion issues. It is always recommended to have multiple carriers and multiple paths coming into the datacenter. The infrastructure is the physical location that provides power, cooling and security to the host and its clients. By employing redundant CRACs (computer room air conditioners), UPSs (Uninterruptible Power Supply) and security systems, a host can reduce downtime by investing in these redundant systems to ensure that servers are running 24/7 and they are available to the users. Chances are that at some point you are going to require access to the support team at your host. Whether it is for a reboot, an operating system re-install, or simply to address an issue with the service, technical support needs to be there to answer your request. Premium hosting companies invest in people and technology to ensure that their clients are well looked after once they have become clients. A good host will provide technical 24/7/365 and usually have an emergency telephone service as well. Don’t settle for less. With DDoS attacks on the rise every month, web hosts have been struggling to keep up with the increase in these attacks and find solutions to ensure that their client’s web sites and servers aren’t knocked offline. DDoS attacks can be devastating to a website or server by overwhelming its resources (bandwidth, CPU, memory, etc.). Only professional solutions will truly protect a server and web site from being knocked off line by these nefarious attacks. 5) How long has the host been in business. Although price is always a factor in determining if a host if right for you, it should be one of the last factors in the decision. Most hosts that have provided acceptable responses to these issues above will not be the least expensive. Equipment that powers a host, as indicated above, requires constant investment to ensure compliance with the latest technologies, robustness and above all else, reliability. In the end, there is no sure-fire way to know if a company is right for anyone particular client. Communicating with your prospective hosting company either through the telephone, email or even live chat systems should help you identify if these companies are responsive to your needs and able to provide you the service you require. These helpful suggestions should at least assist you to weed out the fly-by-night operations.